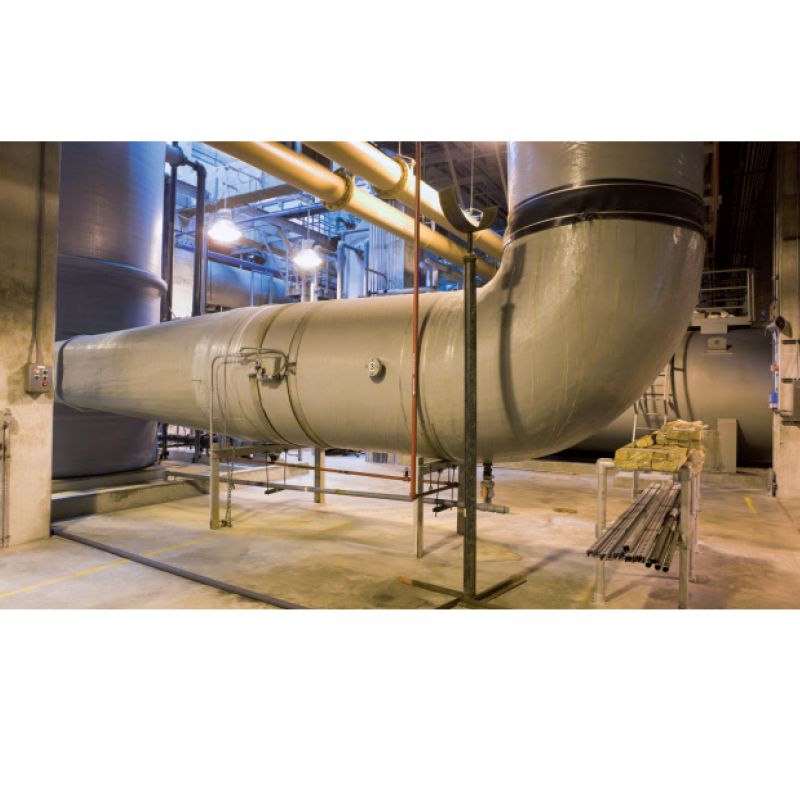 Anchoring in Cement plants, Power Plants and other industries. 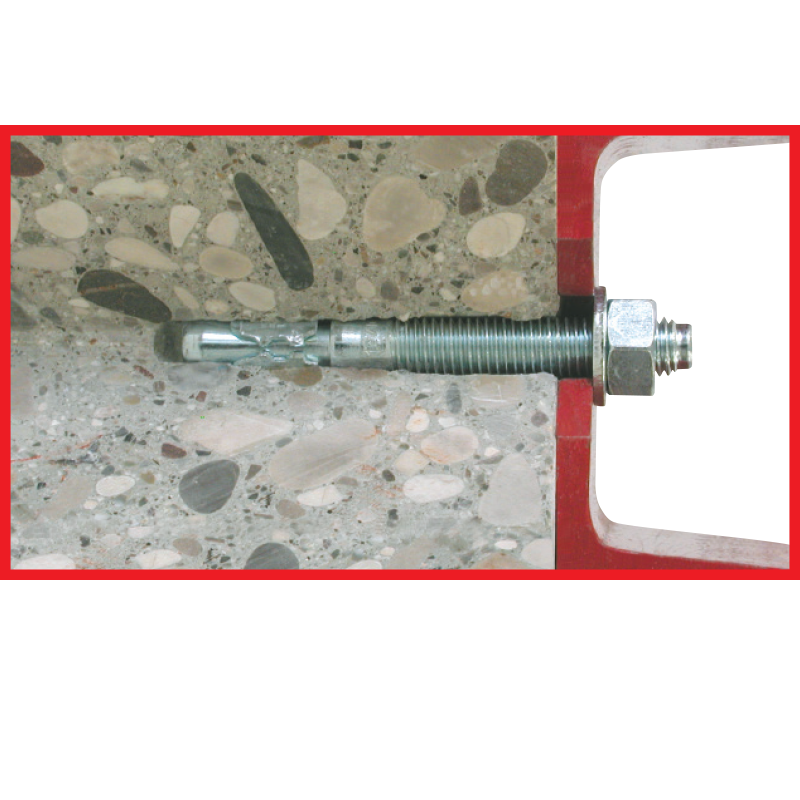 The installation of post-installed R Fix / V Fix with RTR & ATS EVO / FM 753 / FM 753 CRACK Mechanical Anchor shall be done only by suitable trained installer and under supervision on site; the conditions under which an installer may be considered as suitable trained and the conditions for supervision on site are up to the Member States in which the installation is done. 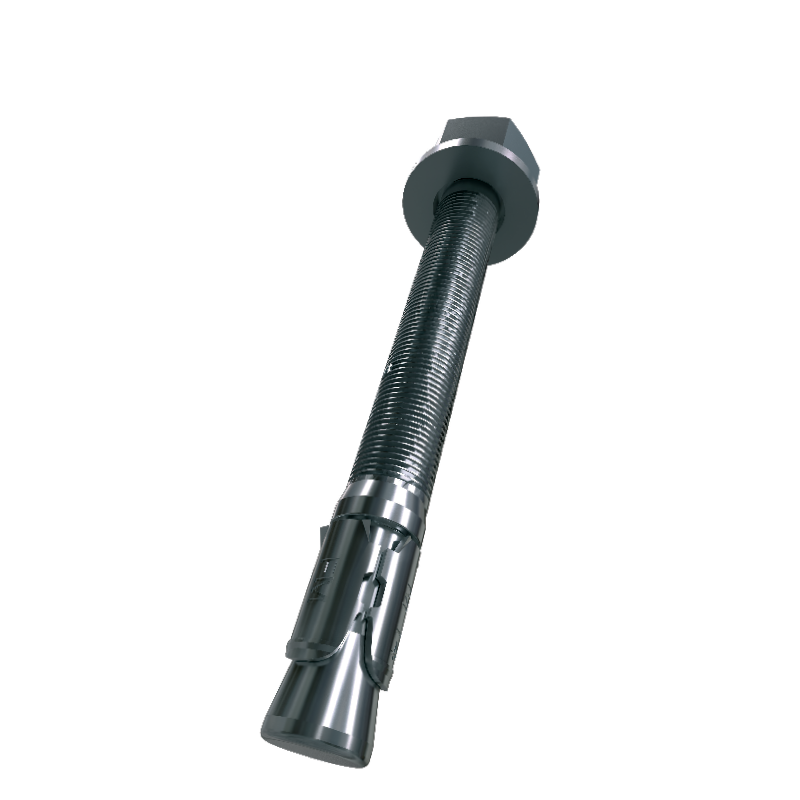 Use of the R Fix / V Fix with RTR & ATS EVO / FM 753 / FM 753 CRACK only as supplied by the manufacturer without exchanging the components of the Mechanical Anchor system. 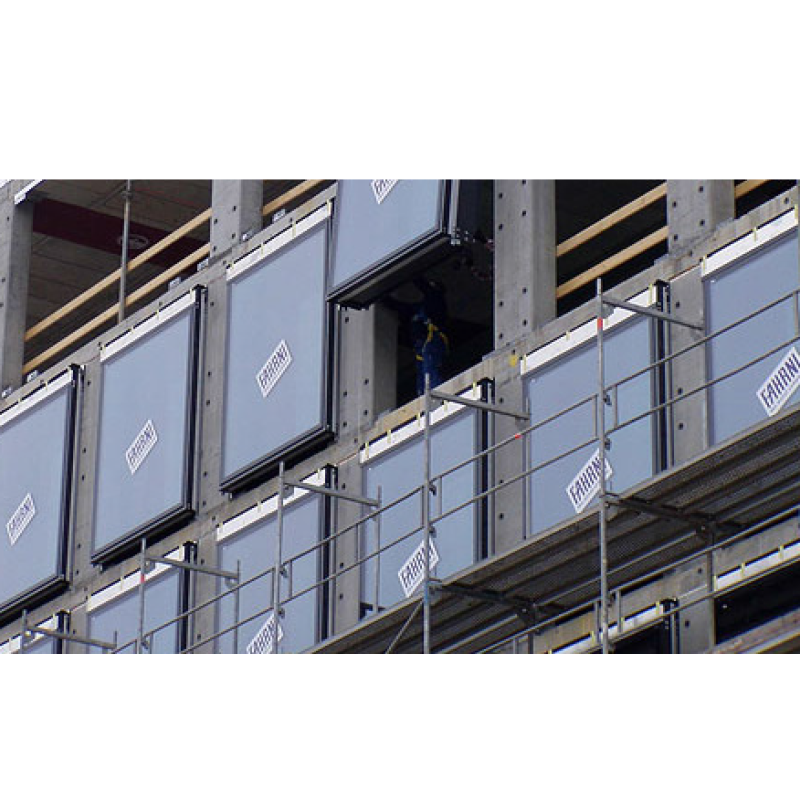 Installation in accordance with the manufacturer's specifications and drawings using the tools indicated in the technical documentation of this European technical approval. 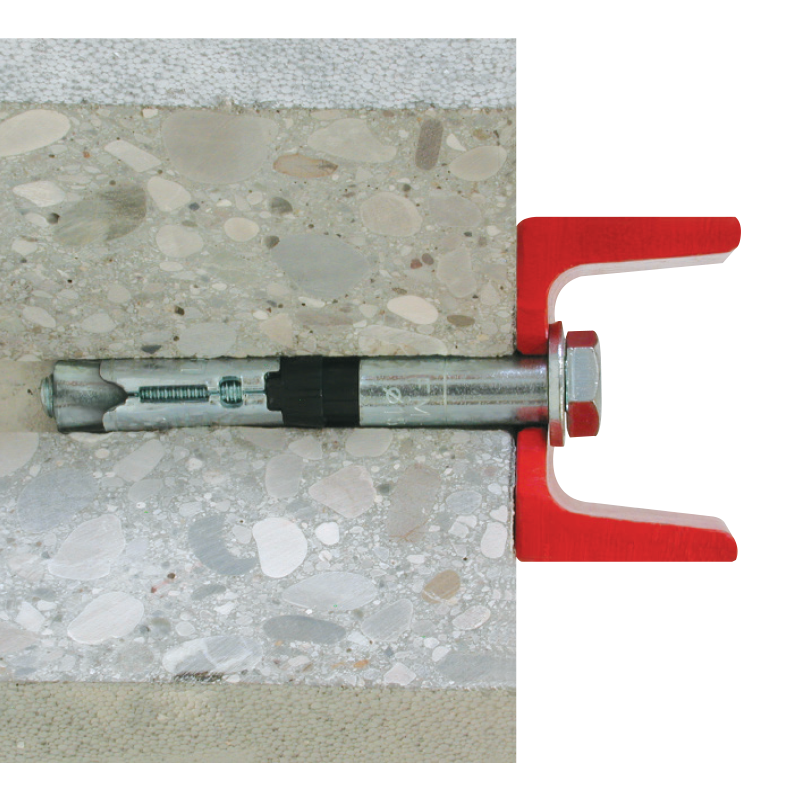 Checks before Anchor installation to ensure that the strength class of the concrete in which the R Fix / V Fix with RTR & ATS EVO / FM 753 / FM 753 CRACK Anchor is to be placed is in the range given and is not lower than that of the concrete to which the characteristic loads apply. Check of concrete being well compacted. e.g., without significant voids. Keeping the anchorage depth as specified in the design drawings. Keeping of concrete cover and spacing as specified in the design drawings. In case of aborted drill hole the drill hole shall be filled with mortar. 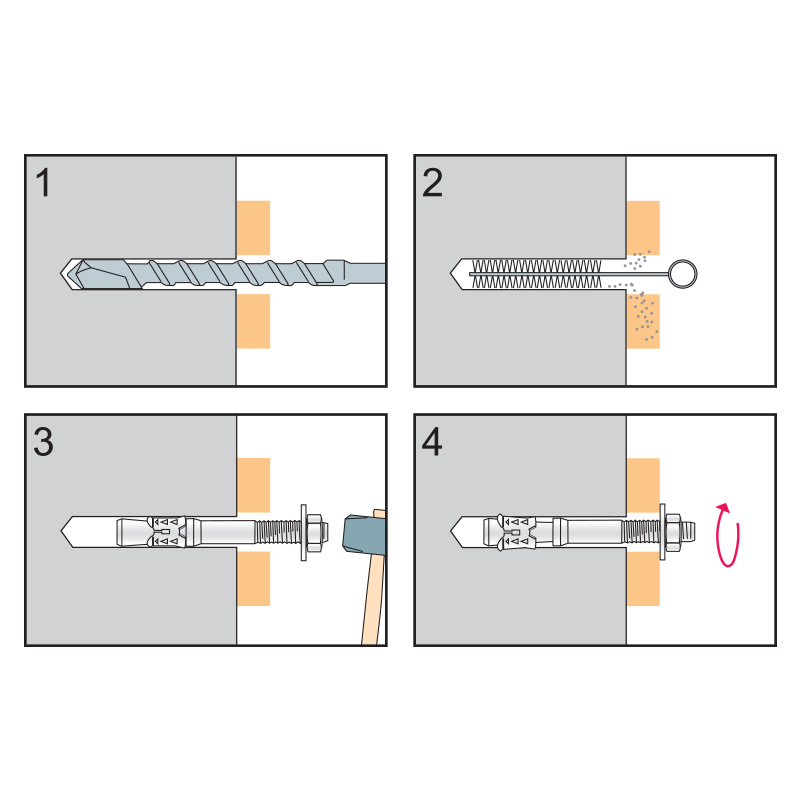 Take the R Fix / V Fix with RTR & ATS EVO / FM 753 / FM 753 CRACK brochure and select the appropriate anchor from the list of anchors that is to be Installed. 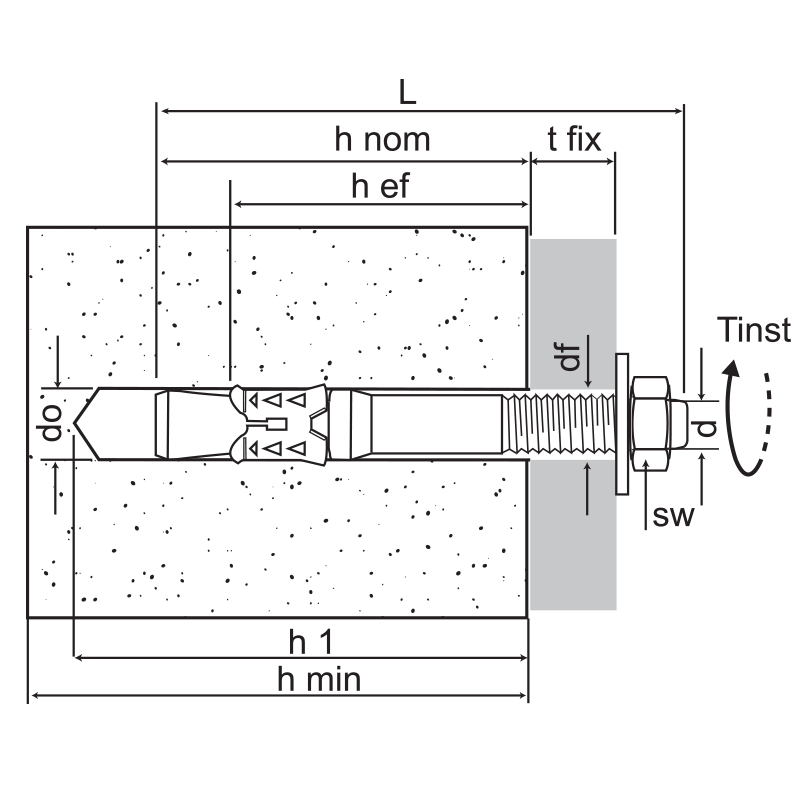 Drill a hole according to the diameter of the hole specified in the R Fix / V Fix with RTR & ATS EVO / FM 753 / FM 753 CRACK brochure (Generally the diameter of the R Fix / V Fix with RTR & ATS EVO / FM 753 / FM 753 CRACK Anchor itself will be the diameter of the hole and never drill the hole of larger or smaller diameter other than specified in the R Fix / V Fix with RTR & ATS EVO / FM 753 / FM 753 CRACK brochure). The depth of the hole drilled should be the as of the nominal depth specified in R Fix / V Fix with RTR & ATS EVO / FM 753 / FM 753 CRACK brochure. Clean the hole with wire brush and Manual Blow Pump for two times and ensure that no air of dust is present inside the hole. 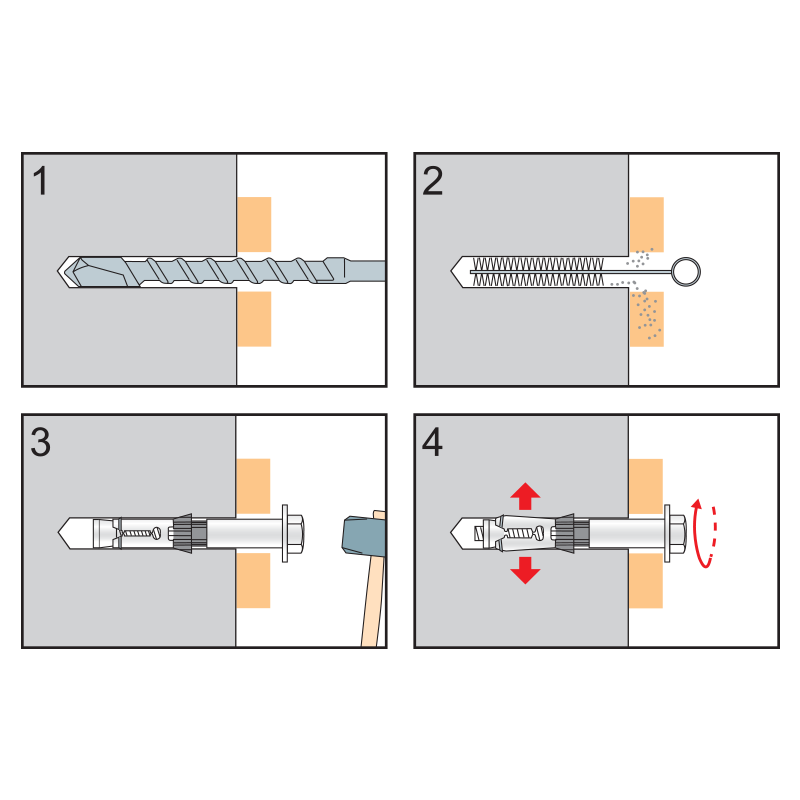 Insert the R Fix / V Fix with RTR & ATS EVO / FM 753 / FM 753 CRACK anchor into the hole and hammer it till it reaches to the required Embedment depth as specified in the R Fix / V Fix with RTR & ATS EVO / FM 753 / FM 753 CRACK brochure. Now with the help of a Torque Wrench , tighten the nut to the amount of torque value mentioned in the R Fix / V Fix with RTR & ATS EVO / FM 753 / FM 753 CRACK brochure.